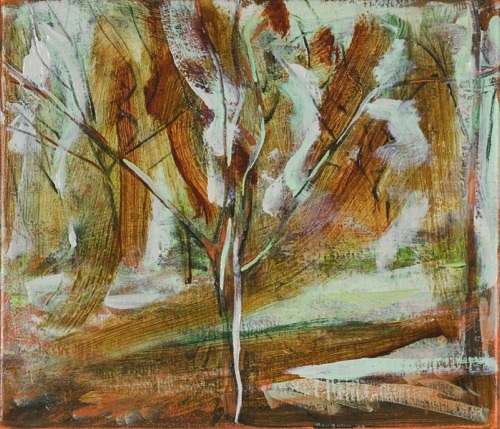 Tree Grouping III, 10" x 14", acrylic on canvas, 2005, private collection. 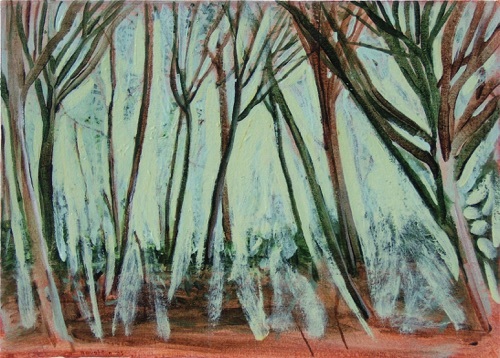 Tree Grouping II, 10" x 14", acrylic on canvas, 2005. 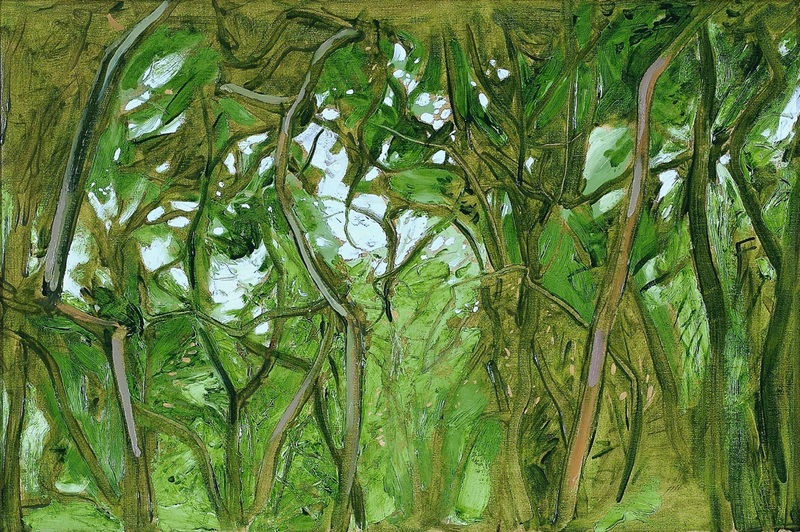 Intertwined Trees, 10" x 14", acrylic on canvas, 2005. 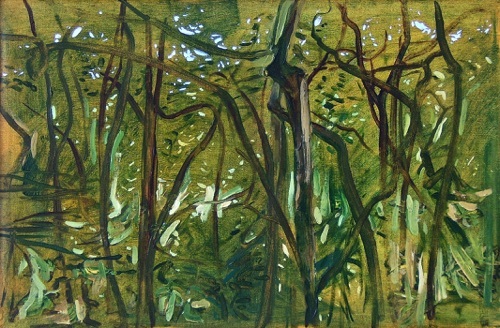 Interlocking Trees, 12" x 18", oil on linen, 2006, private collection. 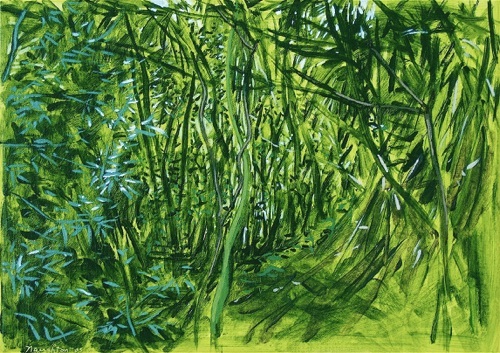 Green Ground, 12" x 18", oil on linen, 2006, private collection. Arabesque Trees, 12" x 18", oil on linen, 2006, private collection. 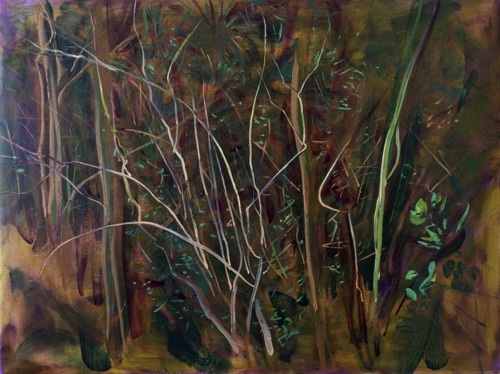 The Thicket, 30" x 40", oil on linen, 2005, private collection. 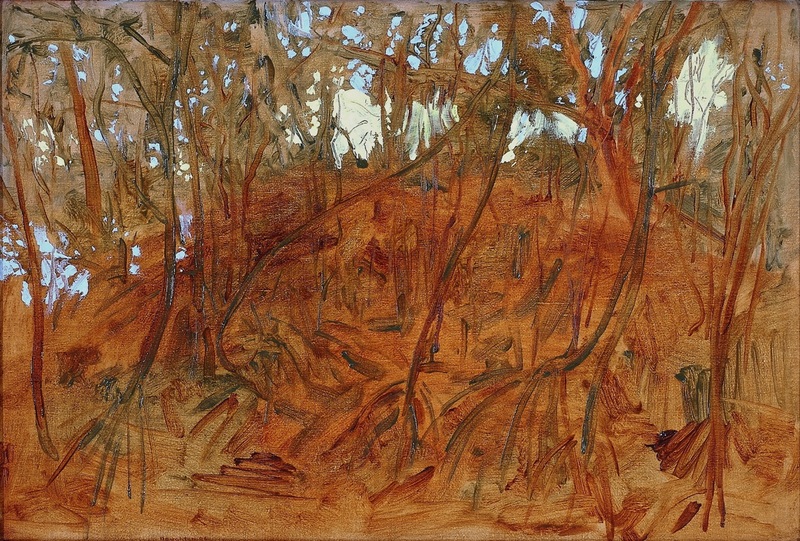 Red Ground, 12" x 18", oil on linen, 2006. 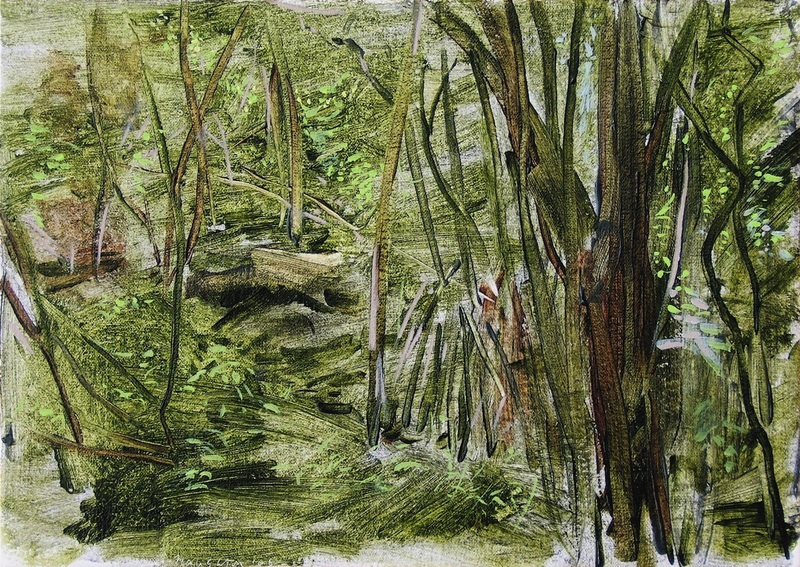 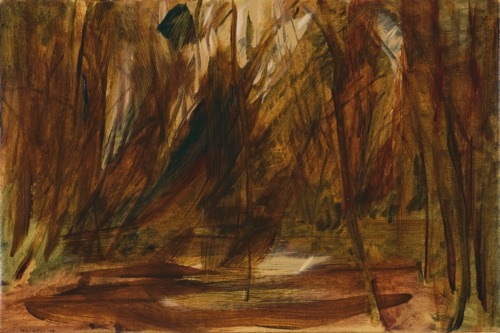 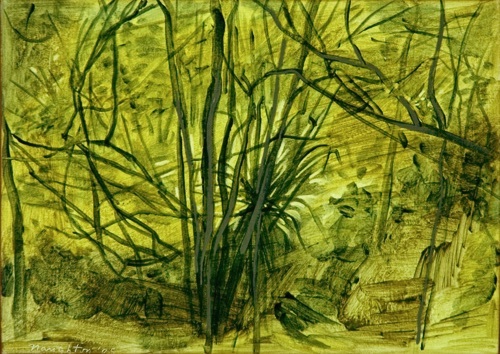 Green Gray Ground, 12" x 18", 2006, private collection. 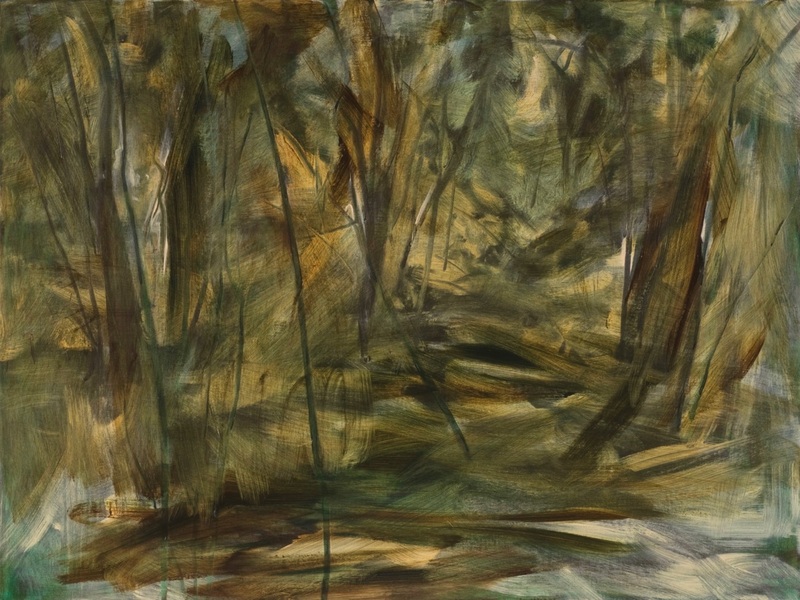 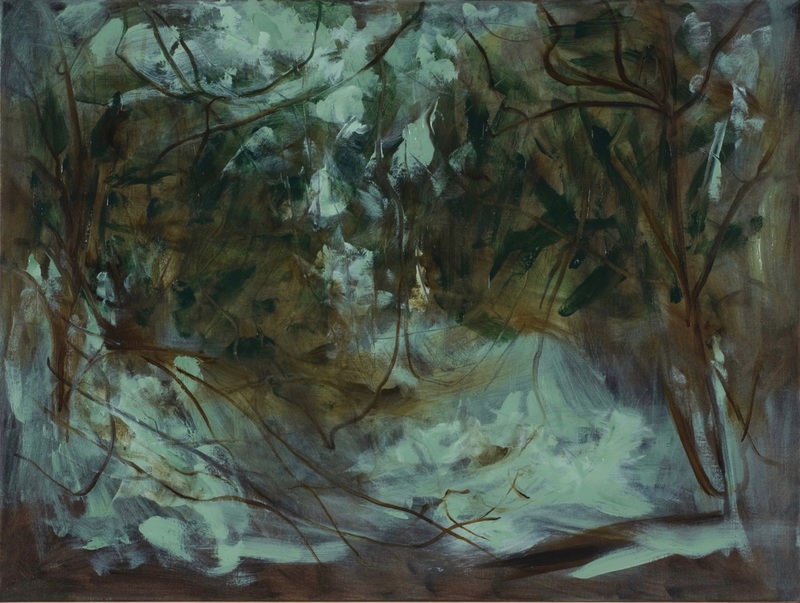 The Forest, 30" x 40" , oil on linen, 2007, private collection. 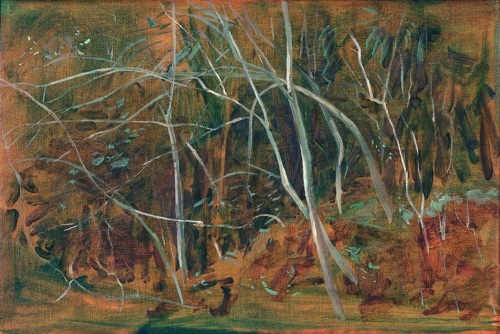 The Clearing, 12" x 18", oil on linen, 2008. Forest Clearing, 10" x 14", mixed media on canvas, 2008. 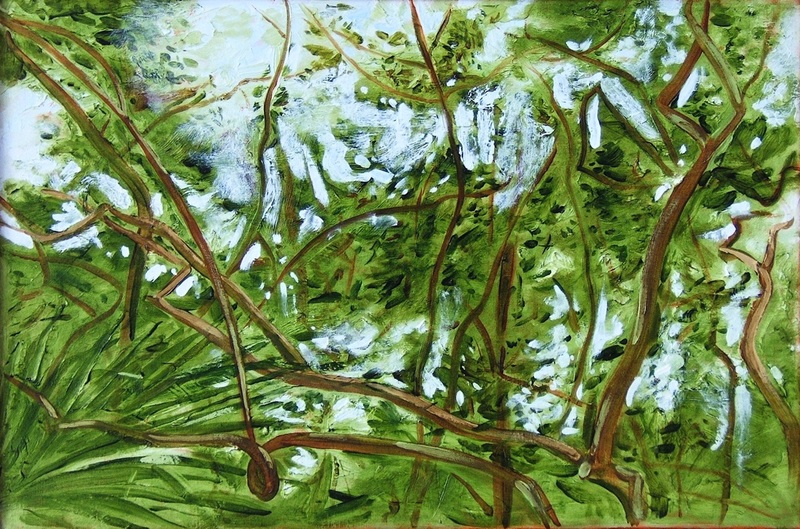 Silver Hau Trees, 30" x 40", oil on linen, 2008. Tree, 12" x 14", mixed media on canvas, 2008, private collection. 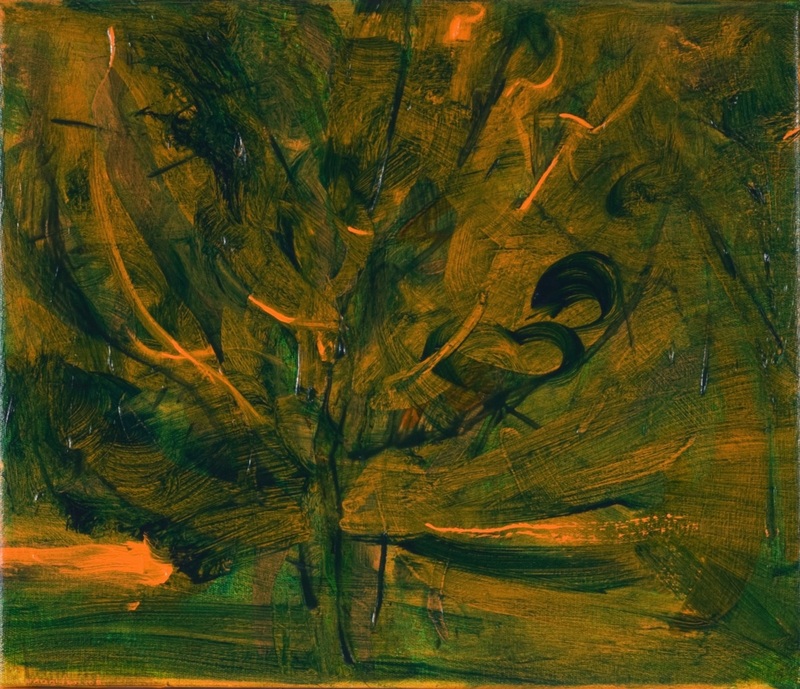 Dancing Tree, 12" x 14", mixed media on canvas, 2008. 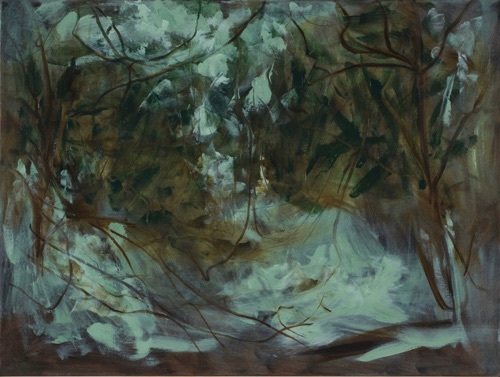 The Ravine III, 30" x 40", oil on linen, 2008. Thicket V, 24" x 32", oil on linen, SFCA collection. Intertwined Trees, 12" x 18", oil on linen, 2006, private collection. 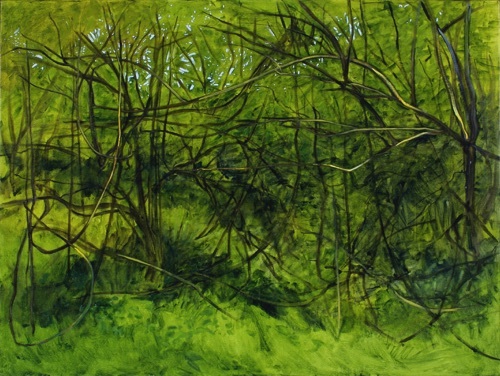 Thicket I, 24" x 32", oil on linen, 2009, private collection. 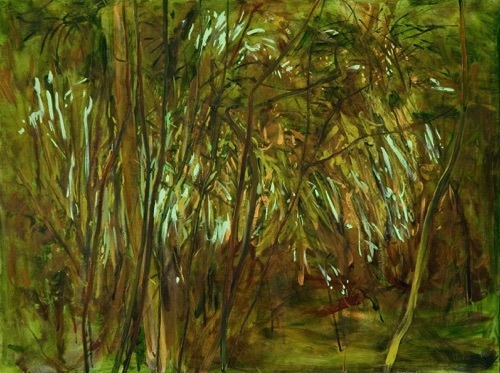 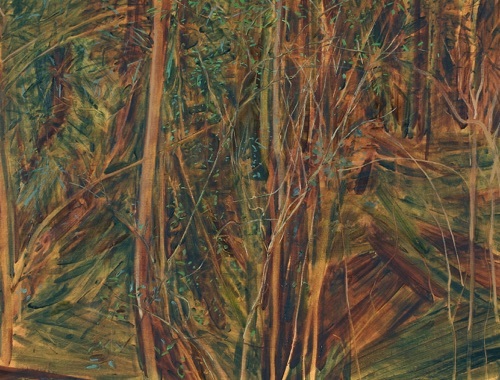 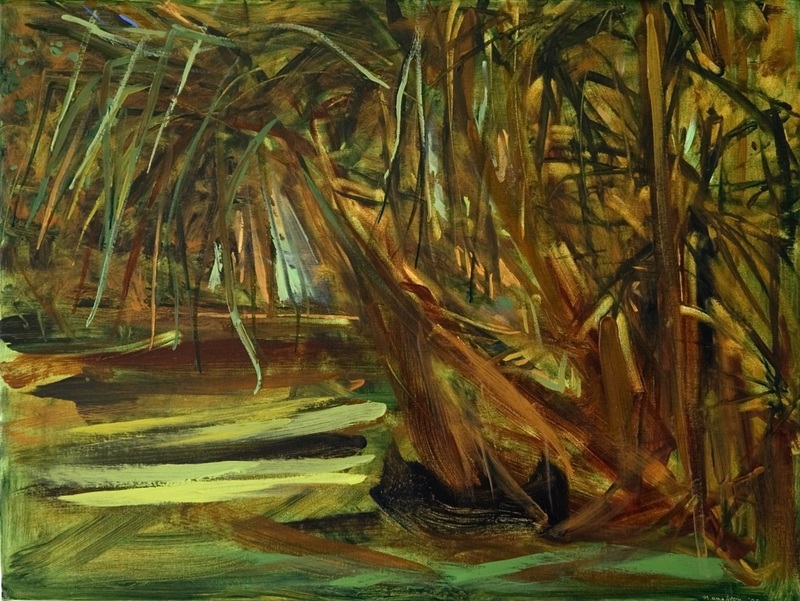 Thicket III, 24" x 32", oil on linen, 2009, SFCA collection. 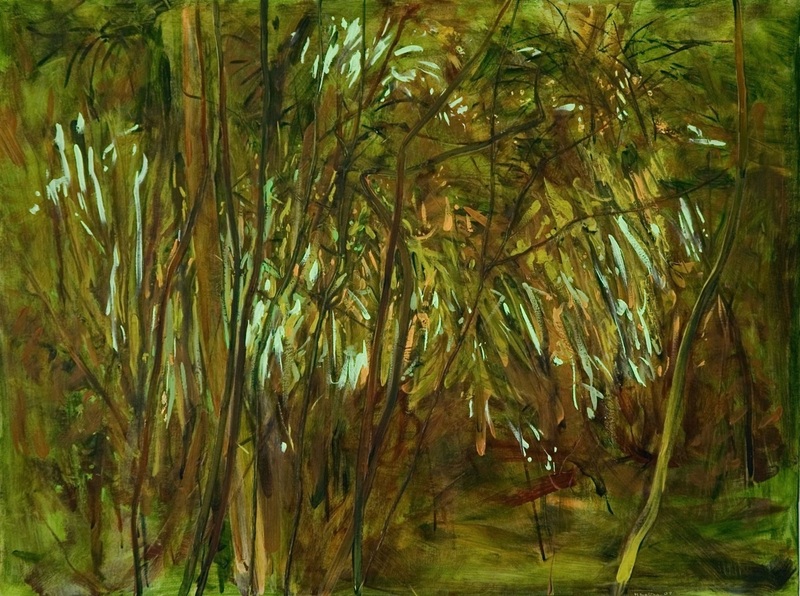 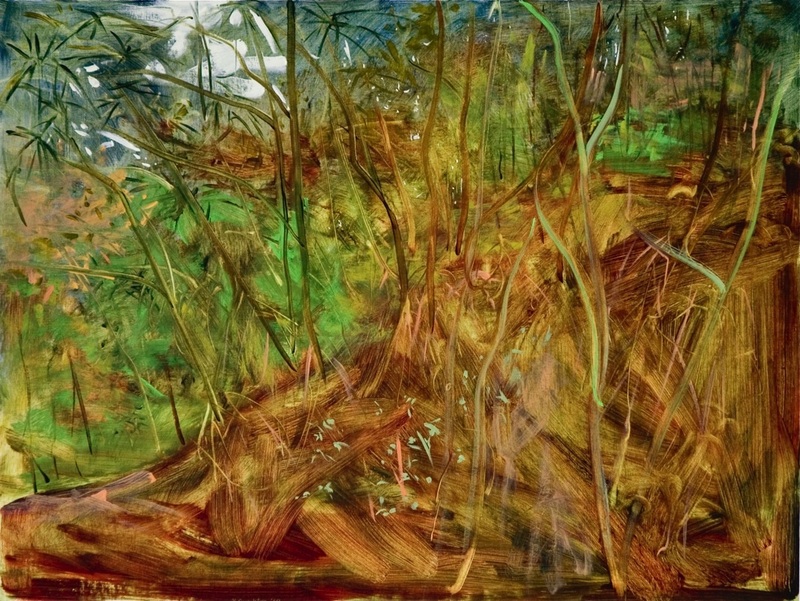 Thicket IV, 24" x 32", oil on linen, 2010. 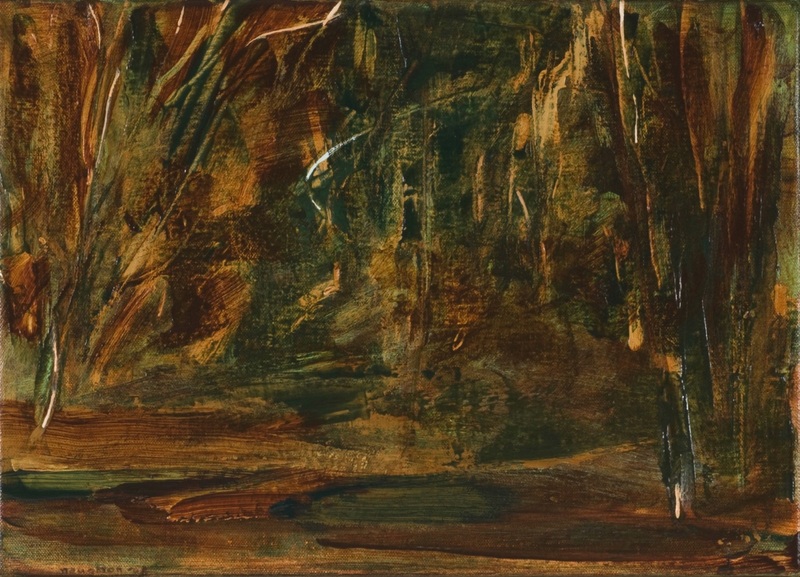 From Forest Clearing, 10" x 14", acrylic on canvas, 2004, private collection. Most of the tree paintings were created on site at Hoʻomaluhia Botanical Gardens in Kaneʻohe on the Windward side of Oʻahu, where there are fascinating and complex intertwining hau, kukui and hala trees, among others. 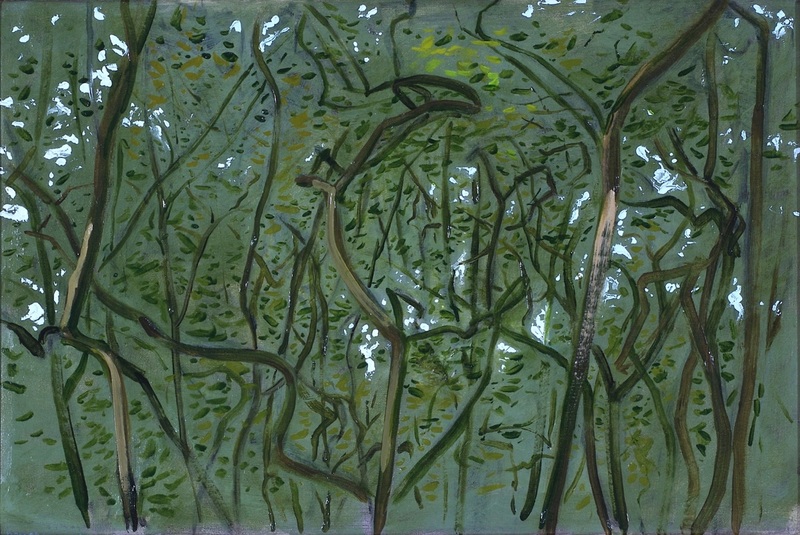 I experience the trees as intriguing abstractions of twisting lines, bright light, negative space and hooked shapes, suggesting other imagery and aesthetic sensations.